LAST SUMMER, THE HAMPTONS WERE ABUZZ ABOUT THE RETURN OF BIG AND LITTLE EDIE. Of course, the real Beale ladies passed away several years ago. Yet the duo was reincarnated on the stage in a bold and innovative new production of the musical Grey Gardens, based on the famous documentary of the same name. After bringing Gardens back to the place where it was originally set, the cautionary tale of the reclusive aunt and first cousin of Jackie Kennedy Onassis received such an acclaimed response that this production has now transferred to Los Angeles for a limited run. 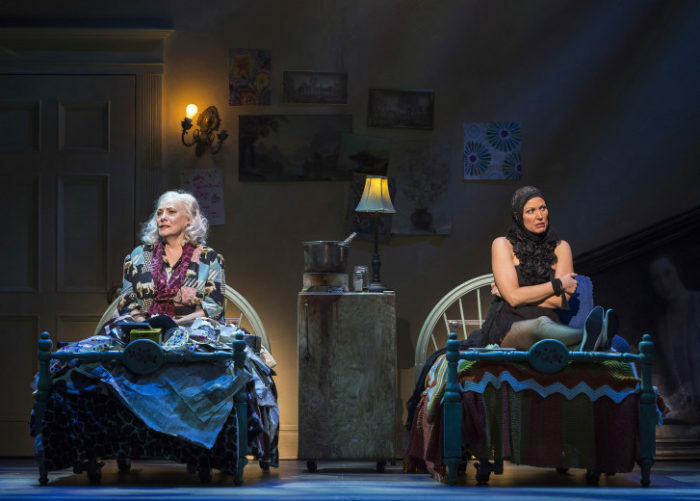 Now playing at the Ahmanson Theater through August 14, Grey Gardens stars Betty Buckley and Rachel York as the mother and daughter whose complex and often-dysfunctional relationship is at the center of this riches-to-rags story. I spoke with York about her transformation into Little Edie, why Grey Gardens remains such a fascinating story that stands the test of time, her vast career highlights, and more. 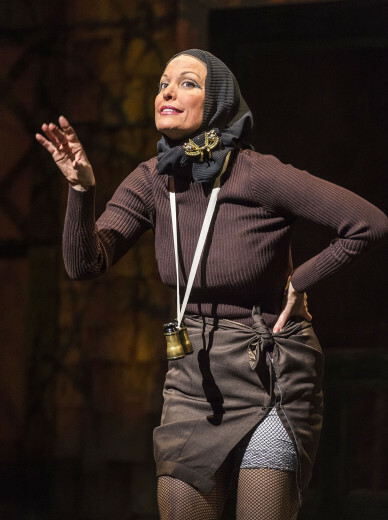 ALEX NAGORSKI: What initially made you want to do Grey Gardens? RACHEL YORK: I was not that familiar with the material as I had never seen the documentary or the musical when I was offered the role, but I knew I would be playing two very challenging roles with intricate character work – which is my forte. I became an actress because I love delving deeply into character and psychology. Unfortunately, these kinds of roles don’t come along everyday. After I saw the documentary, I turned down a role that paid me substantially more money in order to do the Bay Street Production in Sag Harbor. That’s a tough choice when you have a family to support, but it was the right one for me. Speaking of the Bay Street Production, this iteration of Gardens is inspired by that production that you did last year in the Hamptons itself. How did actually putting on the show in the same place where it’s set impact your performance? The production at Bay Street was an “event” in the Hamptons. People were very excited to see it for obvious reasons. We had a lot to live up to. For me, living and working in the Hamptons was incredibly informative. We visited the actual house of Grey Gardens. It has been restored to perfection. I was able to picture being raised in this beautiful house while also imagining its decline. I recited lines from the documentary that Little Edie spoke in that very house. It was exciting and eerie at the same time. Now that the show has come to LA, have you found new value and/or creative liberty since you’re not actually in the Beales’ space anymore? And what other ways is the show different this second time around? It has been a wonderful advantage to revisit the play and the documentary a year later. Betty and I viewed a screening of the documentary at the Ahmanson during rehearsals, which was surprisingly enlightening. There were several small details we couldn’t see on a small screen. We were able to view it the way it was intended 40 years ago. We had put the production up in basically two weeks the first time around at Bay Street. Betty and I were both overloaded with information on the Beales. That year away from the material has allowed us to view these characters with a fresh eye. I feel the second time around I am able to present more of Little Edie’s subtleties. Michael Wilson has created a whole new production at the Ahmanson with projections and a live camera feed. We have more to work with at the Ahmanson. The challenge for Michael was bringing the same kind of wonderful intimacy that we had at the 300-seat Bay Street Theater. We have a bigger and more expensive set now. This allows us to see the outside of the house along with the porch screen door that Little Edie enjoyed prancing in and out of. And I am told by people who have seen both productions that Michael somehow was able to maintain that feeling of intimacy, even though it is such a big production. How does portraying Little Edie stretch acting muscles for you that your previous roles haven’t? These roles don’t come along everyday. I suppose the only thing that has come close to this was my portrayal of Lucille Ball in the CBS miniseries, Lucy. The stakes are just as high. Many are obsessed with Little Edie and her idiosyncrasies. It’s important that I create that illusion for people. I want them to feel they are seeing the real thing. I want them to truly empathize with Big and Little Edie. As I said before, I enjoy this type of intricate character work. I have more control over the final product on stage. When I arrived at the set of Lucy, I knew more about Lucille Ball than any one on the set, but choices were already made that I had no control over. I have control on the stage, but I need to be in top form. This show is the most challenging work I have faced because of its size, depth and vocal diversity. I can’t afford to get sick or even be under the weather. The mountain I climb every night can be incredibly intimidating. So how is your process different when playing a real person like Lucille or Little Edie versus when you’re creating a fictional character? With real people, there is usually quite a bit of source material to draw from. When I am creating a fictional character, I just use clues in the script, my imagination and my own person experience and empathy to find my character and her truth. 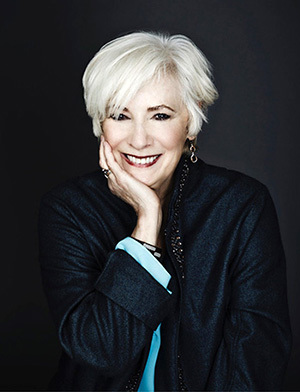 What are the most rewarding aspects of working with a theater icon like Betty Buckley? Now that you’ve seen the documentary, have you also seen the film starring Jessica Lange and Drew Barrymore? If so, did it help you discover your interpretation of Little Edie in any way(s)? I thought the film with Drew Barrymore and Jessica Lange was incredibly well done. I didn’t study their interpretation, but I drew from the same source materials they did, I’m sure. 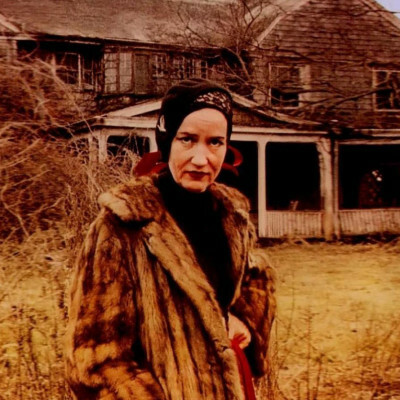 What do you think it is about the story of Grey Gardens that makes so many people want to explore it across such distinctly unique artistic mediums? These two ladies were fascinating, colorful characters and there is a mystery about this story that leaves everyone perplexed and saddened. And what is it about this mother and daughter pair that still makes their struggles so relevant and poignant in 2016? Prior to this production, you co-starred in the Broadway comedy, Disaster! What was the most fun part of getting to perform in such an outrageous, over-the-top musical every night? It was pure fun working with such a skilled group of comedic actors. It was the perfect job! We all had such a blast every night. The music and time period transported me back to the happiness I felt as a kid in the 70’s. Disaster was comprised of so many terrific songs from that decade. Which did you enjoy singing the most? And how do you plan on celebrating the upcoming release of the cast recording? “I Will Survive” was my favorite. I’m excited to hear the recording! But I haven’t made any plans to celebrate as of yet. As an actress, do you typically try to balance the types of projects you choose across different genres? If so, which have you found to be your favorite? In most instances, the projects have found me. I’m fortunate to have played a variety of different characters throughout my career, whether is be comedy or drama. I like to mix it up. My favorite always seems to be the character I’m playing at any given time. There are so many the past that are my “favorite” that I can’t select one. Right now my favorite is Little Edie. In addition to your theater work, you have a vast career as a concert soloist, having performed with such esteemed acts as the New York Pops, the National Symphony, the Los Angeles philharmonic, the San Francisco Symphony, and the Jerusalem Symphony Orchestra, to name a few. What type of artistic itch does performing in this capacity scratch for you that playing a character in a musical does not? Singing with a huge orchestra is glorious, but acting is my passion. You received a Drama Desk Award for your co-starring turn in Victor/Victoria alongside the legendary Julie Andrews. What was the best advice that Julie gave you that you’ve carried with you ever since? Always decorate with creams, whites and taupes. They make every room appear larger, cleaner and fresh. 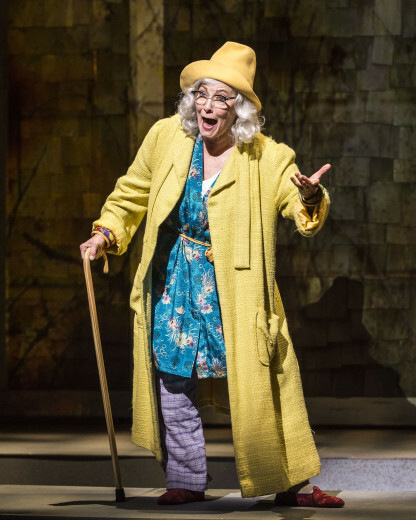 Catch Rachel York in Grey Gardens, now playing at the Ahmanson Theater in Los Angeles through August 14. Click HERE to purchase tickets.